Our open call for contributors has brought in a few fresh faces writing about very cool things, like Zelda’s historians, war gaming, and a post colonial take on Age of Empires. I’d stress there are still a bunch of neat pitches that came in that are in the works, so look forward to more good stuff to come. With that said, I’ve heard from a few people who are interested but don’t necessarily know what to write about. We have also gotten a few pitches for posts that aren’t exactly in our wheelhouse. So I thought I would give a rundown of a bunch of posts I wish I could write but will likely never get to. So if you or a friend might be interested in writing about these, and or, if these spark your interest take a moment and respond to our ongoing open call for contributors . Play the Past is generally about representations of the past in video games, so in that context here are some notes for potential posts. I think each of these could likely provide fodder for 3-5 posts each. 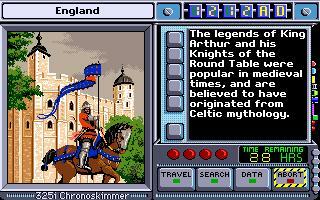 Most of the writing on Play the Past has focused on games about America and Europe. It would be great to have more discussions of representations of non-western history in games. 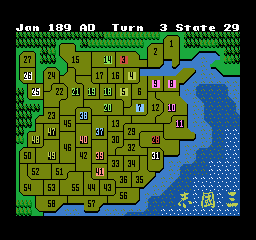 Given that Romance of the Three kingdoms is a 12 game series I am sure there is a ton of interesting writing to be done on it. For example, how this series (and others) represents the past in game mechanics, in narrative components, and on discussions of the game over time. At the same time that incarceration rates in the United States are completely insane Americans are playing a range of management simulation games where you too can run your own prison. At this point there are 5 different Prison Tycoon games and Prison Architect raised a million dollars in a crowdfunding campaign. There are a lot of potentially interesting takes on these. One might situate them in a historical discussion of the role of prisons in society, or do a close reading of the logic of the mechanics of the games. Given the increasing interest in turning prisons into for profit ventures the idea that the model of the game is based on games where you get to run your own theme park I am sure there is plenty in here to write about. Play one of these games and read something like The New Jim Crow: Mass Incarceration in the Age of Colorblindness and I’m sure a few posts will fall out. While we are talking about tycoon games. In an era where we are struggling to get reasonable healthcare in place we are also playing games where we run our own hospitals. 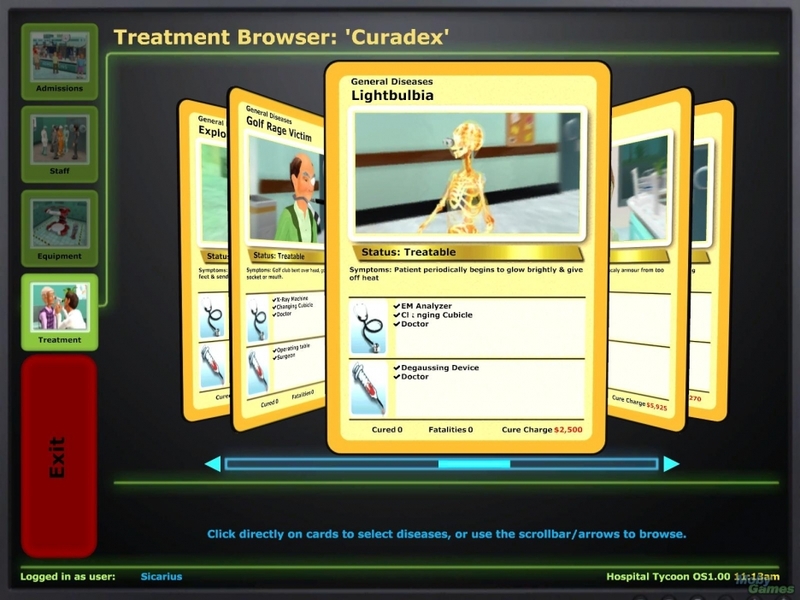 Given that there is a long standing interest in the history of medicine and in how hospitals see people it would be great to see some close readings of games like Hospital Tycoon and Theme Hospital. I imagine the MTV Cops pitch as either of these games meets Birth of the Clinic. The folks behind Grand Theft Auto create a game mixing their tried and true approach to plot and storytelling with aesthetic elements of film noir and gum shoe detective stories. There is a lot that could be written about regarding L. A. Noire. I could imagine some really neat posts taking a cinematic, literary, and historical vantage point to explore how this representation of the history of L.A. continues or complicates the mythology of the city. Aside from being a beautiful and elegant game, the indie hit Braid is all about manipulating time. The primary mechanic of the game is about reversing time. Alongside that, the chase the princess primary narrative of the game toys with the same kinds of reverse mechanics. I’d love to see someone dig into the ideas about memory and time in the game. Carmen Sandiago does time travel. Edutainment goes back to the future. Thieves are traveling back in time to steal artifacts from all of history. Not sure what the critical bent would be, but there is tons of past in there and it’s for kids so I’d love it if you went and found a story for us in there.